This morning, Jennifer Lagarde tweeted a link to a blog post by Rachel Peck that was so fabulous that I had to share and comment! When I went to make a comment, my post wasn’t saving correctly, so I just decided to dust off the old blog and post it here! This is a FABULOUS post! Agreed! You crushed it! This is a post that should be shared! I will have it at the ready for my teachers, most coming from other schools and districts, who lament the day that I let AR die a quiet death at my elementary school. The collateral damage that AR does far outweighs any small, anecdotal advantages it presents. Additionally, if our goal is to make informed, research-based decisions that are best for the healthy development of children, AR, with its lack of independent supporting research is a very expensive folly. I wonder what innovative, engaging library programs & improvements $3500+ per year/per campus might make! If you’re at all interested in literacy, go read her blog post now! Rachel Peck has provided such a strong, thoughtful argument for authentic reading programs (see Donalyn Miller’s work) as opposed to reading accountability programs such as AR! Accountability makes adults’ jobs easier. 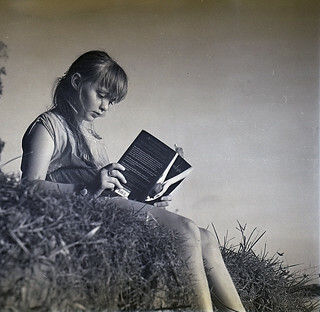 Authentic reading benefits children. Education & Tech News to Use: Graphic Novels Matter! For those of us who don’t really “get” graphic novels, here’s a great resource from the Comic Book Legal Defense Fund to help us re-evaluate their importance to our students’ reading development. Personally, I wish I liked them more–I really do–but I do appreciate that my kids (including my own personal kid, and she’s an adult) connect to graphic novels in a profound way. I love this list! We all do so many of these things, but it’s good to have them all in one place so we can think about why we use them and which ones are best for the particular lesson! This is one of those why-didn’t-I-think-of-that kind of posts. Duh! Look at this! 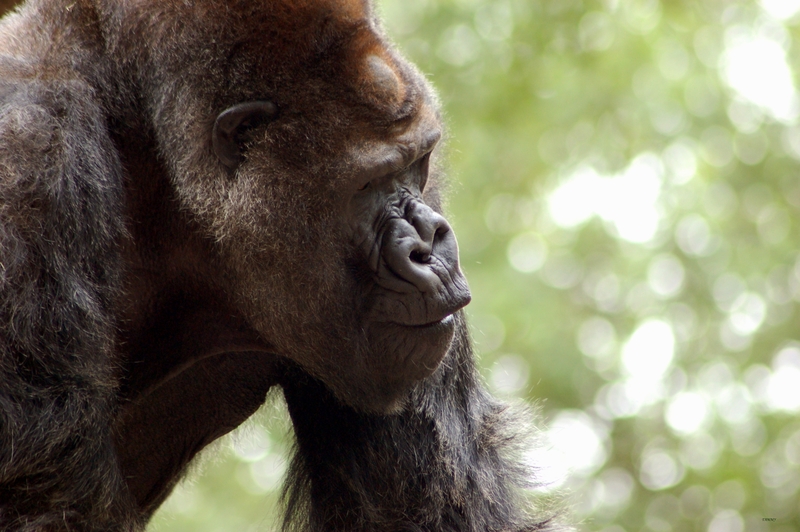 Katherine Applegate’s latest book tells the nonfiction tale of the real Ivan the Gorilla. This picture book is written for younger readers, but I suspect young and old will be drawn to it! Hear Applegate her self discuss the book and Ivan himself. Wow! The Guided Reading portion of the Scholastic web site is a handy reference for teachers as they are guiding students to trade books of a particular reading level. Teachers can search for books/series to ascertain the Fountas & Pinnel reading level. Teachers might pair this with Scholastic’s other Guided Reading pages below. Very convenient. The Guided Reading portion of the Scholastic web site is another useful reference for teachers as they are guiding students to trade books of a particular reading level. A selection of books–both fiction and nonfiction–are listed by level. Teachers might pair this with Scholastic’s reading level search page, Book Wizard. Very handy. I love some of the suggestions here. Some of my teachers are rethinking how they approach literature in their classrooms. They’re reading Donalyn Miller’s work (hooray), and looking for do-able techniques. I think ideas in this post will help as they explore and enrich their students’ reading lives. Perhaps one of those articles that we should all read a couple of times a year to refocus ourselves in the classroom. How to raise writers? Make writing unavoidable! If they’re reading and watching the rest of the family write, and if there are pencils in every drawer, they might just write! I like Warriors. I thought I would write you this becausee you are a great person and to thank you for getting the Warriors books to be enjoyed by Erin Hunter fans of all ages. He then went on to summarize the Warriors book he just read and enjoyed–and he IS a fan! What a genuine, heartfelt, typically 3rd grade thing to do! I do love my students! 3rd graders rock!